The International Space Station’s robotic arm has completed a double walk-off to be in position to grapple SpaceX’s Dragon spacecraft next month. Currently set to launch NET (No Earlier Than) April 30, Dragon will have to successfully complete a series of demonstration milestones, prior to permission being granted to approach the Station for berthing via the SSRMS. SpaceX have an appointment with history, as they prepare to conduct a mission that will technically mark the opening salvo of commercial resupply runs to the orbital outpost. While this is a demonstration flight – with the first Commercial Resupply Services (CRS) mission scheduled for later in the year – Dragon will be carrying a manifest of cargo, to be retrieved by crewmembers on the ISS after the hatches between the two vehicles are opened. However, a large amount of mission requirements have to proceed as advertised to get to such a historic moment in US space flight. This is due to the combined nature of the mission, approved by NASA following the success of the opening Dragon demonstration mission (C1/D1). Firstly, SpaceX’s Falcon 9 – a two stage rocket, with both stages burning RP-1 propellant with liquid oxygen oxidiser, consisting of a first stage powered by nine Merlin 1C engines, and a second stage powered by a single Merlin Vacuum engine – has to complete its role of safely lofting the Dragon uphill. Once on orbit, Flight Day 1 and 2 will involve Dragon carrying out the opening C2 (D2) mission requirements during what is known as far field phasing, involving abort demos, free drift, Assisted GPS and other tasks – according to a flight plan walkthrough overview (L2 Link). Dragon will then greet the ISS on Flight Day 3, flying 2.5km under the Station, with commands between the two spacecraft. The Mission Management Team (MMT) at the Johnson Space Center (JSC) and the team at SpaceX’s HQ will then evaluate a Go/No Go for Dragon to conduct final C2 (D2) and opening C3 (D3) mission elements, including the HA3/CE2 burn pair, resulting in Dragon approaching to 1.2 km distance below the ISS. Several additional Go/No Go decision points will be reached during the approach and required burns, prior to arriving at the capture point, allowing the ISS’ Space Station Remote Manipulator System (SSRMS) arm to capture the spacecraft, after the crew inhibit the ISS thrusters and command Dragon to free drift. (A more expansive mission profile article will follow in the run up to the mission). In preparation for Dragon’s arrival at the ISS, the Station’s “big arm” conducted a “double walk off” from its previous location at the Mobile Base System (MBS) Power Data Grapple Fixtures -1 (PDGF-1) to Node 2’s PDGF. The Mobile Transporter (MT) also translated to its supporting position on Thursday. The role the ISS’ robotics have to play in making this mission a success are vital, not least due to Dragon being captured and berthed to the ISS – like Japan’s HTV, as opposed to Dragon docking to the Station – the same way as Europe’s ATV arrives. 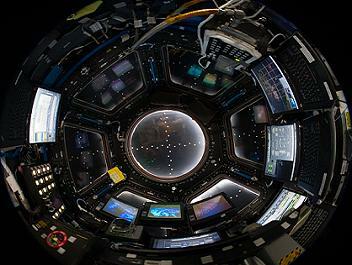 The work required to capture Dragon will be conducted in the Cupola’s Robotic Work Station (RWS), with the Lab’s RWS classed as a hot back up, in case of issues with the former. Preparations during Dragon’s mission will begin with the ISS crew configuring the RWS monitor views and overlays to support crew monitoring of the vehicle’s approach. Prior to final approach to capture point, crew will review contingency cue cards to be fully prepared for any problems they may encounter. Upon receiving the “Go for Capture” call from Houston, the ISS crew will arm the SSRMS capture command and begin tracking the vehicle through the camera on the Latching End Effector (LEE) of the SSRMS, noted an overview presentation (L2 – Link). 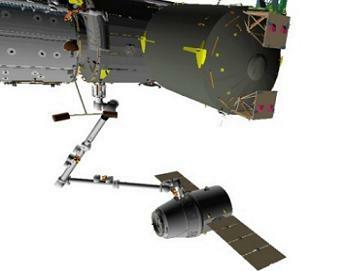 The Dragon, now secured by the SSRMS, is then carefully translated to the pre-install set-up position, 3.5 meters away from the Station’s module, allowing the crew to take camcorder footage of the vehicle through the Node 2 windows. 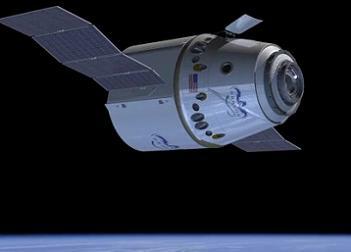 This footage will then be downlinked to the ground for engineers to evaluate the condition of the Dragon spacecraft. The SSRMS then maneuvers Dragon to the second pre-install position, at a distance of 1.5 meters out. Desats are then inhibited prior to the maneuver of the Dragon into Common Berthing Module (CBM) interface to begin the securing of the spacecraft to the ISS. 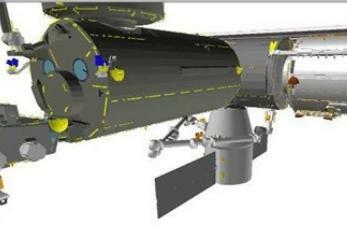 A go at this point will be marked by all four Ready To Latch (RTL) indicators providing confirmation on the RWS panel. As has been seen with other arrivals – and indeed new additions to the Station itself – Dragon will then be put through first stage capture tasks, allowing the SSRMS to go limp, ahead of second stage capture, officially marking Dragon’s berthing with the ISS, in turn allowing the SSRMS to release and translate to its return position. 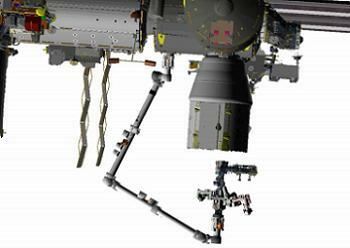 While leak checks are conducted between the ISS and Dragon – required ahead of hatch opening – the SSRMS will have another job to complete, this time picking up the Special Purpose Dexterous Manipulator (SPDM) – otherwise known as Dextre – who will also greet the new member of the ISS resupply family. 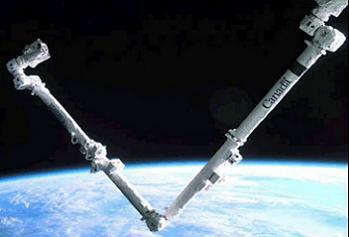 The plan relates to performing a survey of the Dragon trunk using SPDM at the end of the SSRMS, after the big arm retrieves its Canadian cousin from the Mobile Base System at Work Station 5 (WS5). Dragon’s trunk will be surveyed using Dextre’s own LEE and Camera Light Pan Tilt Assembly (CLPAs), under the control of MCC-Houston. This task will allow for teams on the ground to assess viewing and lighting conditions to aid in operations planning for future trunk cargo extraction/insertion operations that will play a resupply role during future missions. Once the survey has been completed, the SSRMS will return Dextre to the MBS, which will then carry the robot back to Work Station 2 (WS2). The Station arm will then return to its preplanned position ahead of its final task to release Dragon as part of the unberthing procedures.